Peter is professor emeritus of journalism at Indiana University and a consultant with magazines and corporations, helping CEOs, writers, and editors learn to express their ideas more effectively. His articles have appeared in World Book, the New York Times, Highlights, and others. His two guidebooks, The Magazine Article: How to Think It, Plan It, Write It and Writing with Style: The News Story and the Feature, are standard reference sources for journalists. 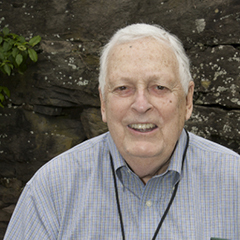 Peter is a long-time faculty member of the Highlights Foundation, beginning with our first Writer’s Workshop at Chautauqua, and continues to offer exceptional instruction and mentorship to our attendees. He is also a writer who cares deeply about writing and about other writers. 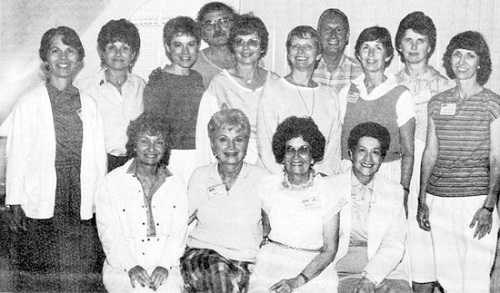 Peter (back row, 4th from right) with the 1985 Chautauqua faculty.